As I prepare to depart for the 3rd annual Goa International Travel Mart (GITM) being held on India’s West coast April 1-4, 2014, I’ve been exploring how these international travel conferences contribute to the tourism economy. Having traveled twice before to India, I know that Goa — a featured stop in the 70’s hippie Bible “Southeast Asia on a Shoestring” – has been one of Asia’s most popular beaches for decades. Still today -– as the location of Bollywood romances, eye candy sunsets and gap year respites for Israeli youth — the destination has weathered and prospered through more life stages than even Cancun. In a millennium where international travel has been made easy but shorter vacations are the norm, the Indian government no longer can rely on “Eat, Pray, Love” followers to spend months touring their enormous and beautiful sub-continent. Instead, like many other leisure destinations, resort areas like Goa and Phuket and Tulum have to market themselves as stand-alone vacation paradises. A role, fortunately, that Goa is eminently suited to play. Having attended FITUR in Spain and the International Tourism Fair FITA in Mexico, I know these international events are exciting, informative and fun for anyone in the tourism industry. But what else do they accomplish for their destinations? 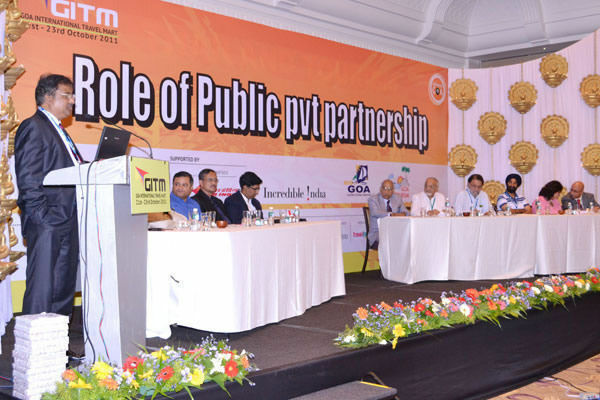 What Can GITM Do for Goa? 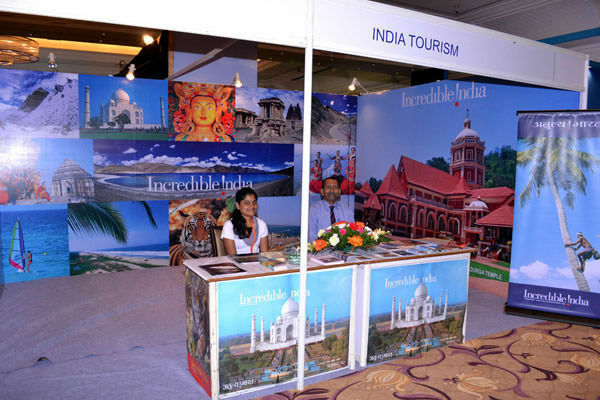 Exposure and enrichment — that’s why GITM is bringing together 250 exhibitors with more than 200 domestic and international travel buyers, tour operators, travel agents, and domestic and international travel media to highlight the region and educate us about south India. 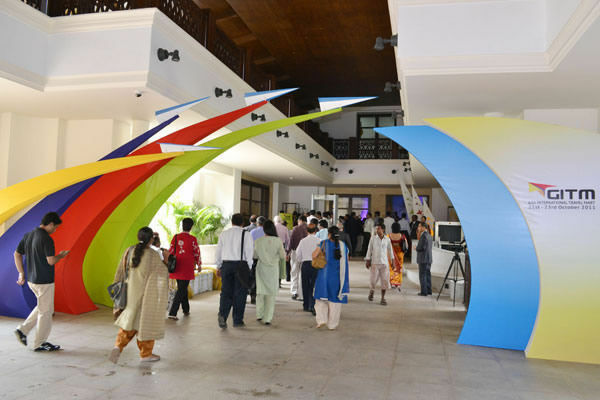 Exhibits set up in the Dr. Shyama Prasad Mukherjee Stadium, near Goa University in Taleigao, will showcase local travel, tourism, hospitality, leisure, and other related industries, pairing buyers and sellers for a scheduled 5,800 face-to-face interactions. Key areas to be explored by participants include Airlines, Hotels & Resorts, Medical Tourism, Spas & Wellness, Adventure, Pilgrimages, and Spice Farms or, I suppose, what we might call agritourism. I am especially excited about the final event, a day-long knowledge session about travel trends, to include panels such as “Reinventing Goa as a premier investment and tourist destination in an ecologically aware world” and “Image building through out-of-the-box marketing concepts.” Being exposed to viewpoints from the other side of the world will be invaluable to maintaining Family Travel Forum’s global perspective on vacation destinations. With very different goals, the recent Moscow International Travel and Tourism Exhibition (MITT) in Russia attracted 1,800 companies from more than 190 countries and destinations. At MITT, the travel trade, government ministers and international press meet to assess the current international market and identify the competition; as well as conduct and conclude deals for the following tourism season. Unlike the GITM, the Moscow travel expo is opened to the public for a day to showcase Russian and international destinations to consumers, giving exhibitors an opportunity to build on domestic publicity from the Sochi Olympics and highlight popular destinations for outbound Russian travelers. Underscoring the importance of newly affluent Russian tourists, the 2014 MITT event drew tourism boards with their own displays from Algeria, Bangladesh, Brazil, Cambodia, Cape Verde, Iceland, Laos, Mozambique and Peru, as well as the small islands of Rhodes, Azores, the Balearics and the Canaries. Indian destinations that participated include Kerala and Karnataka. Next year, the 22nd annual MITT will take place 18-21 March. In late April this year, Kazakhstan will host KITF – Central Asia’ s largest travel and tourism exhibition. The event will take place at Atakent, Almaty’s International Exhibition Centre. New attendees who see business opportunities at this travel mart include Mouzenidis Travel, Splendid Asia, Travco, Wild Trek Safaris, Helvetic Living and Resort Life Maldives. According to buyers interviewed, Kazakhstan is a strong market for tour operators working in the resorts of Almaty and Astana, as well as a country with a strong outbound market for warm weather destinations such as the Maldives. Return exhibitors such as Cuba, India, Sri Lanka, Thailand, Malaysia, the Dominican Republic, Georgia and Morocco will join the expected 8,000 professionals for the three-day event of networking and negotiations because they’ve seen their business grow from it before. Coming up in August is another type of international exposition, the EuroGames in Stockholm, Sweden. For more than 20 years, the EuroGames sports competition has been held to fight discrimination, encourage integration, and to promote and support the right to pursue one’s sport independently of sexuality. Held every few years, EuroGames has been featured in Barcelona, Paris, London and Antwerp, each time boosting tourism to the destination. The City of Stockholm is clear that their strategy in being the host city is to market Stockholm internationally to the LGBT community. For 2014, the EuroGames Stockholm will have a large cultural program of exhibitions, activities, attractions and a film festival to complement the 25 different sporting events. A political program will feature seminars, workshops, and lectures. According to organizers, Eurogames is expected to draw over 5,000 participants and more than 200,000 visitors from Sweden and all over the world. Visitors will have free admission to all sporting events and even to some public parts of the cultural and political program. 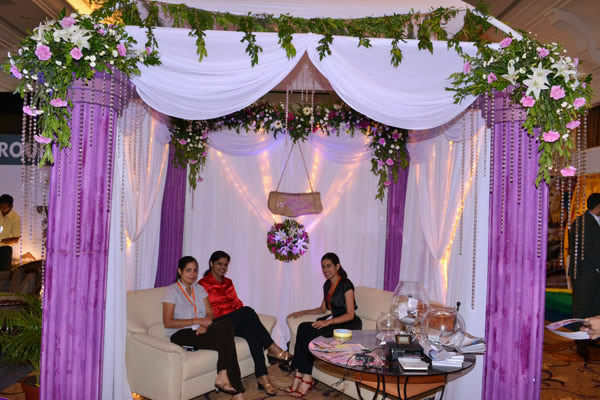 Clearly, all types of group meetings and events are seen as big tourism boosters, when done right. With GITM, I look forward to helping my hosts promote their region to the enormous family travel market.